I am a cupcake fan. I love them but it is a difficult task to find a decent cupcake in Madrid, which is why I was so tickled pink when my friend Elena brought some delicious cupcakes to my house. 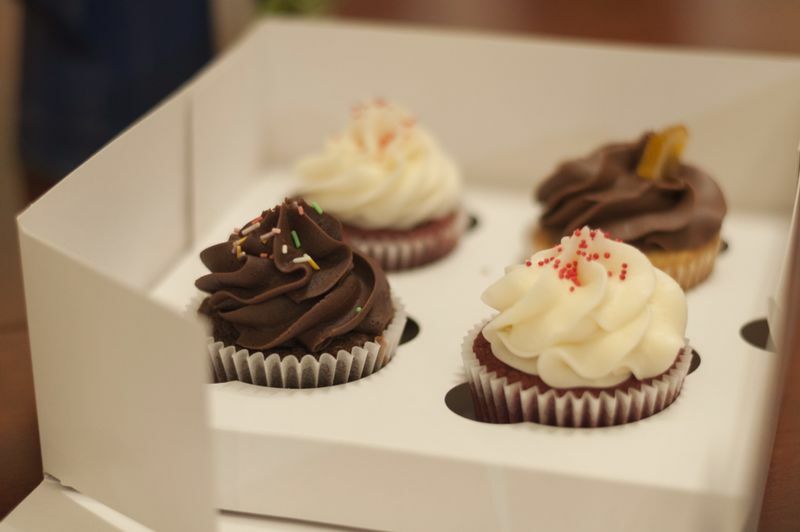 I was amazed; these cupcakes were actually good and now, unfortunately for my hips, I am constantly craving them. Cream Bakery is tucked away on a pedestrian alley right off Paseo de la Castellana and María de Molina. 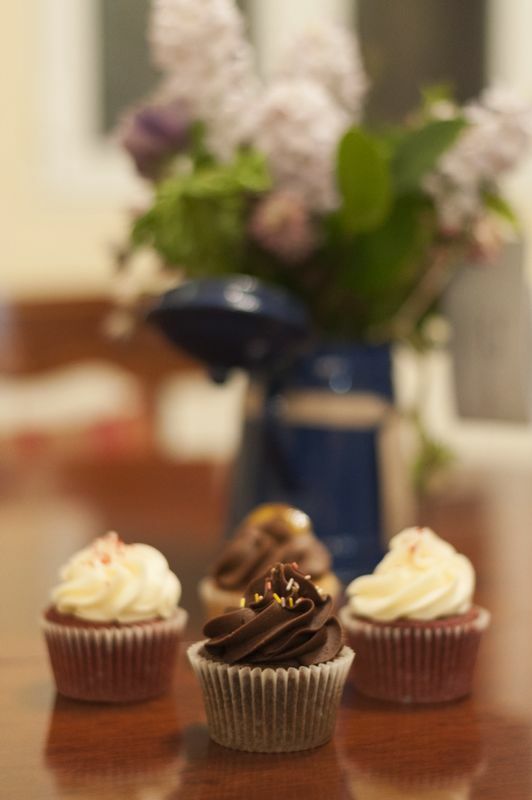 The quaint little shop has a cozy area with plush armchairs and a sofa, great for having a cupcake and a cup of coffee in situ The kitchen is in full sight from the counter where you can see the cupcakes being made. Paula Machin makes a variety of different flavors such as tangerine cake with chocolate frosting, oreo, carrot cake but my all time favorite is red velvet. 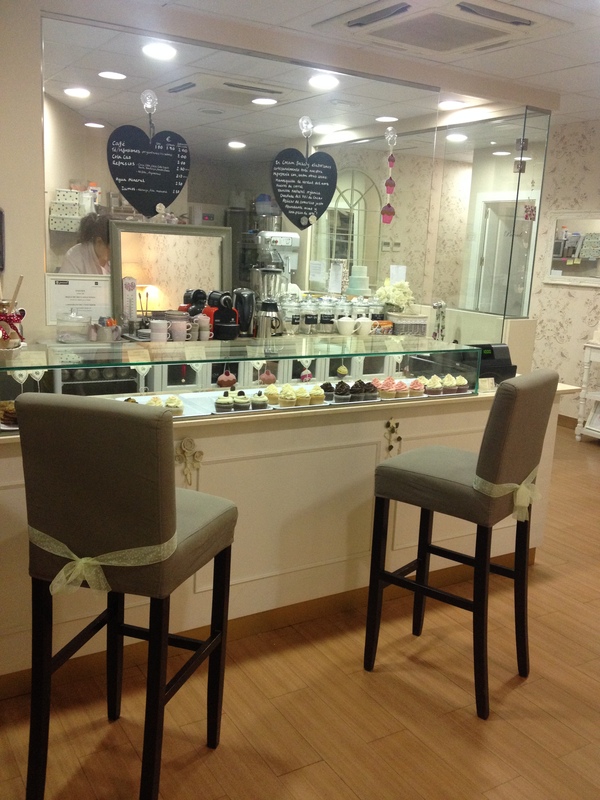 I truly recommend this bakery to all you cupcake fans out there! 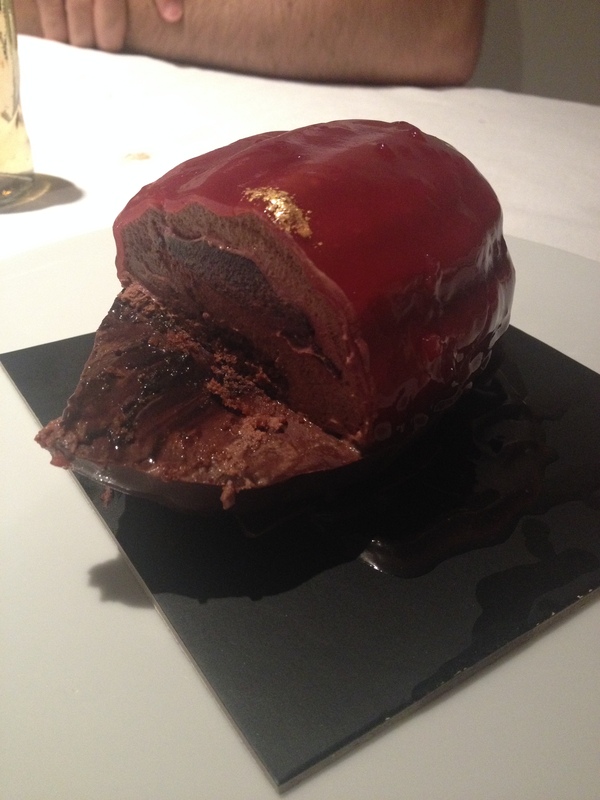 I want to share with you my latest discovery at Oriol Balaguer which is two desserts in one. The concept is great especially for all the GT lovers. 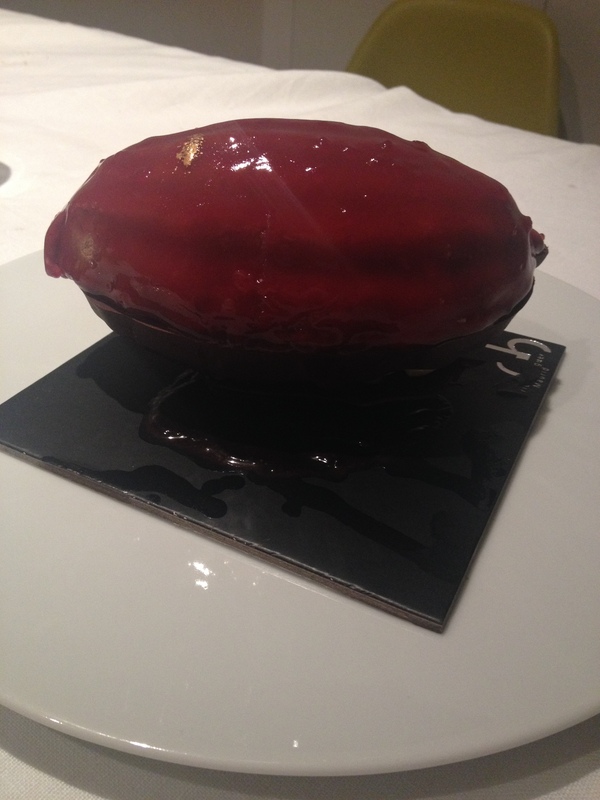 The dessert looks like a giant cacao nut which is divided in two. The top part is a chocolate cake with raspberry. 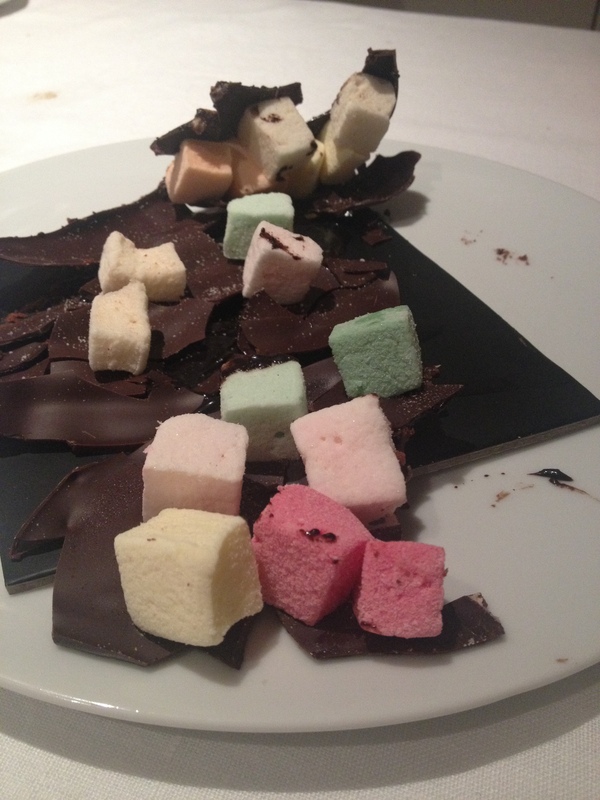 Once you have eaten the cake you break up the other half where there is mix of the broken chocolate and marshmallows. Perfect for after-dinner conversation and GTs. They normally don’t have them at the store so you have to order them in advance. The cake serves 4 and the price is 32 euros. Hope you like it!